The Lord of the Rings! LEGO! "No folks, it’s not an untimely April’s fools joke. Lego is partnering with Warner Bros. to bring us what so many fans have asked for over the years." Read the rest at The Brothers Brick. Re: The Lord of the Rings! I really hope they don't ruin this. I'm geeking. I think Lego has stepped up with PotC lie and some of the more recent SWU sets. Also the Alien Conquest, Space Police, & Atlanis all have had pretty well done minifigures. That being said, LEGO PLEASE MAKE FRAKKIN' POSE ABLE SMALL LEGS! Finally! It only took a decade for Lego to get the license. LotR it one of my favorite trilogies, so I'm stoked for this line of sets. fithboy wrote: I really hope they don't ruin this. Don't hold your breath, they always find a way to screw it up. Rook wrote: I'm geeking. I think Lego has stepped up with PotC lie and some of the more recent SWU sets. Also the Alien Conquest, Space Police, & Atlanis all have had pretty well done minifigures. That being said, LEGO PLEASE MAKE FRAKKIN' POSE ABLE SMALL LEGS! 'Man I hear you, I wanna make a clone child but the small legs won't move!! Location : Telling my slaves to build faster. This is also gonna be great for Post-apoc figs (Orc bodies for aliens, etc). 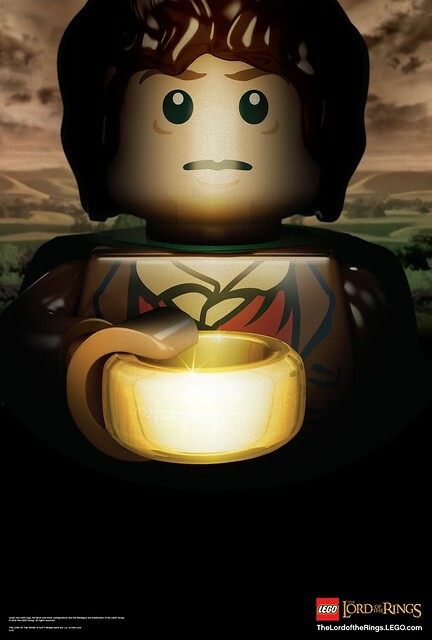 I have been hoping for LOtR Lego sets for a while. Am I the only one here who doesn't care about this. Sure the movies were ok I guess, but I don't see the need to make a new theme out of it. Wow, Now that was unexpected, My wallet is going to be empty by summer's end. They're only releasing this because of the new 'The Hobbit' movie coming out next Summer as well. Sabarrus wrote: Wow, Now that was unexpected, My wallet is going to be empty by summer's end. Join the club mate! No Brickcon for me people! Looks cool, but I've never really been a fan of LotR anyway. Hopefully the sets will be decent. I'm gonna be honest, I don't think this is something that's gonna last like SW.
Troopa Daisy wrote: I'm gonna be honest, I don't think this is something that's gonna last like SW. It will be at least all of 2012 and 2013 for the two Hobbit movies. So that is at least three waves of releases a year at least 5-6 sets a wave for a grand total of 30-36 sets. Which is plenty for me. The amount of sets for a series often depends on the sales and popularity of the series, I've seen several lego series over the years have less than 5 sets. But I would imagine the Lord of the Rings series would be pretty popular.